Single Journey Fare tickets are the only tickets that can be purchased in cash from on board the bus for immediate use. Passengers should ideally provide the exact change and the driver may refuse cash notes in excess of €20. 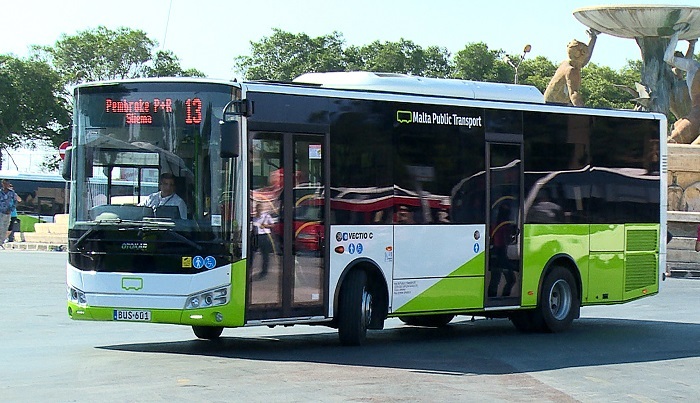 The start and end of the winter and summer seasons are defined by Malta Public Transport from time to time; the summer season normally commences in June and ends in October. Unlimited travel for 7 consecutive days including night services. This card will be valid for seven calendar days starting from the first time you validate it. These are available for purchase at all Malta Public Transport kiosks and other leading outlets, and can be used immediately. Unlimited travel for 7 consecutive days including night services. This card will be valid for seven calendar days starting from the first time you validate it. These are available for purchase at all Malta Public Transport kiosks and other leading outlets, and can be used immediately. 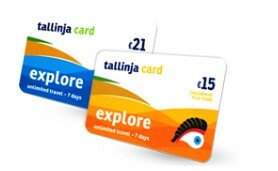 Children aged under 4 years travel for free and do not require a Tallinja Card to travel. 12 Single Journey Tickets on Day Services or 6 Single Journey Tickets on Night Services. This card will be valid for 12 journeys on day services or 6 journeys on night services, or a combination of both. 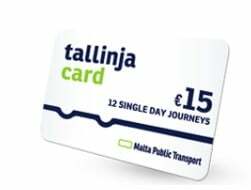 These are available for purchase at all Malta Public Transport kiosks and other leading outlets, and can be used immediately.